State College Cycling offers group rides for road cyclists of various abilities. We ride from several locations in the State College, PA area, and terrain and routes vary weekly. Unsure which level to choose, start with an easier level than you normally ride. New riders are always welcome! 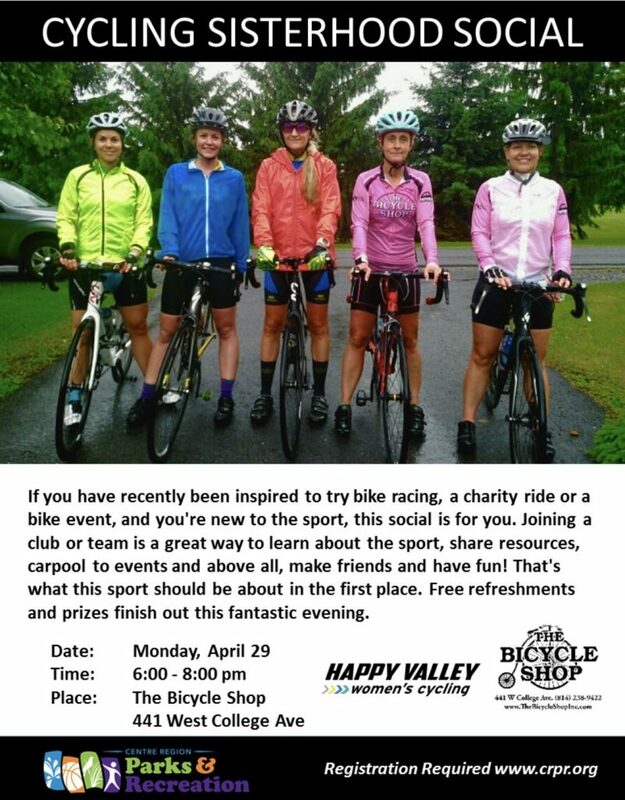 Visit http://www.statecollegecycling.com/ for more info.